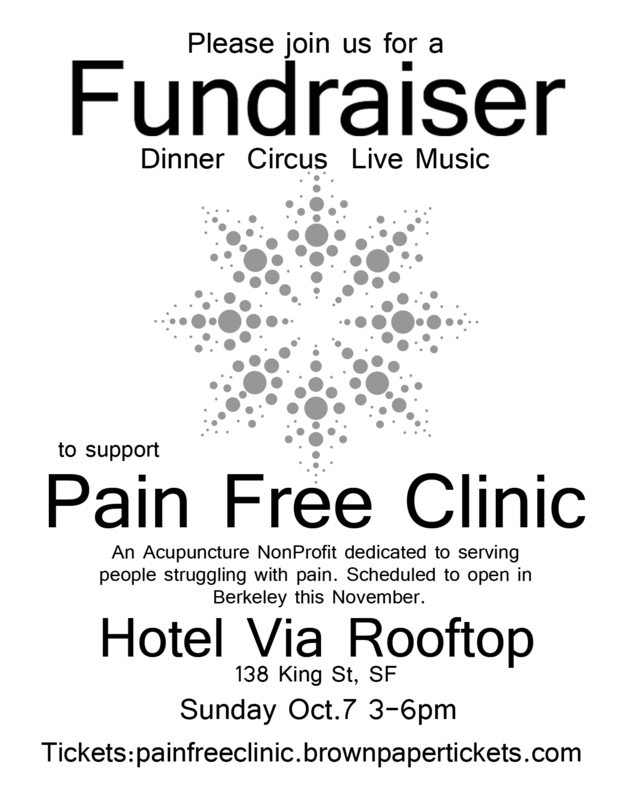 Kickoff Fundraising Event for Pain Free Clinic -- a non-profit to help low income people living with pain. DisabledCommunity.Org is sponsoring a new project called Pain Free Clinic. The project is being organized with alumni and students of ACTCM at CIIS. Our mission is simple... to help low income people disabled by pain. You can register for tickets at Brown Paper Tickets or Sponsor the event using by registering below.